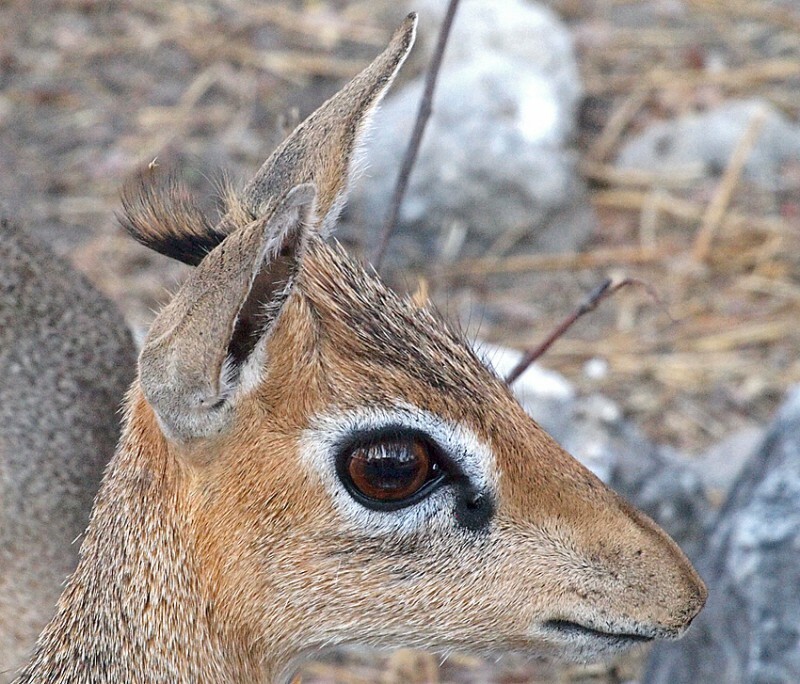 The Dik-Dik is a very small antilope that is found in eastern and southern Africa. The name comes from the sound the female makes to alarm. 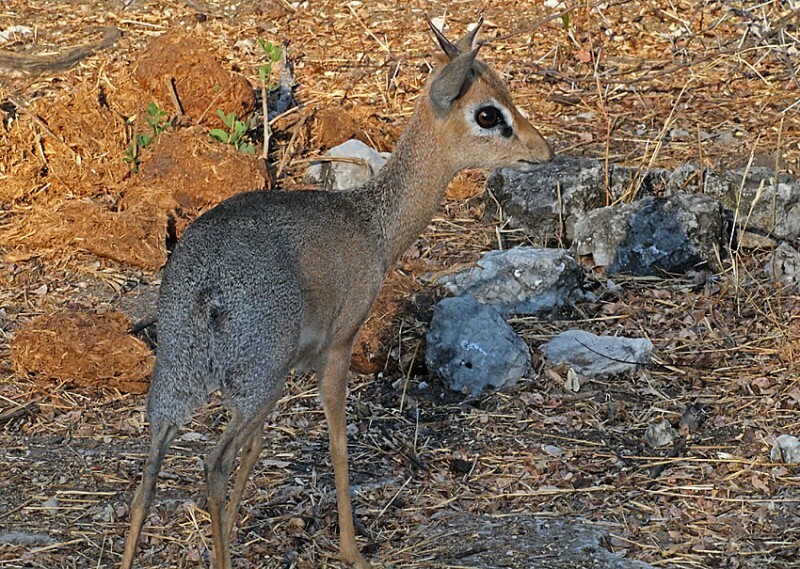 Dik-dik can live in places as varied as dense forest or open plain, but they require good cover and not too much tall grass. 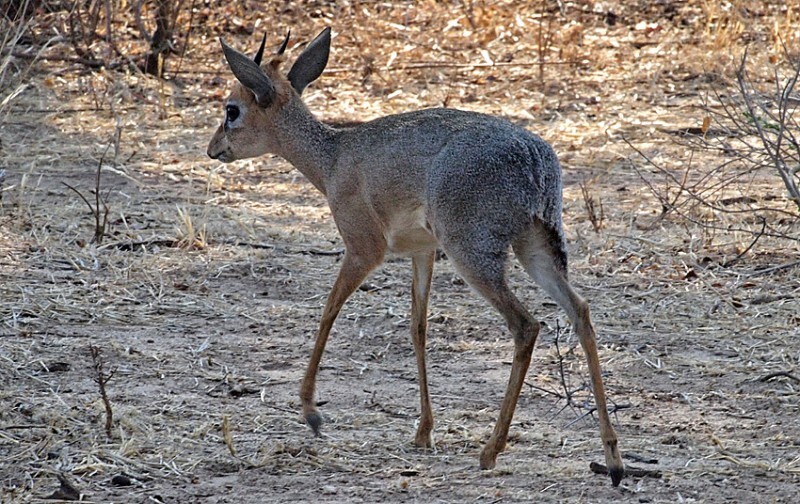 Dik-Dik is only 30-40 cm at shoulder height and weighs 3-6 kg. Females are often slightly larger than males. 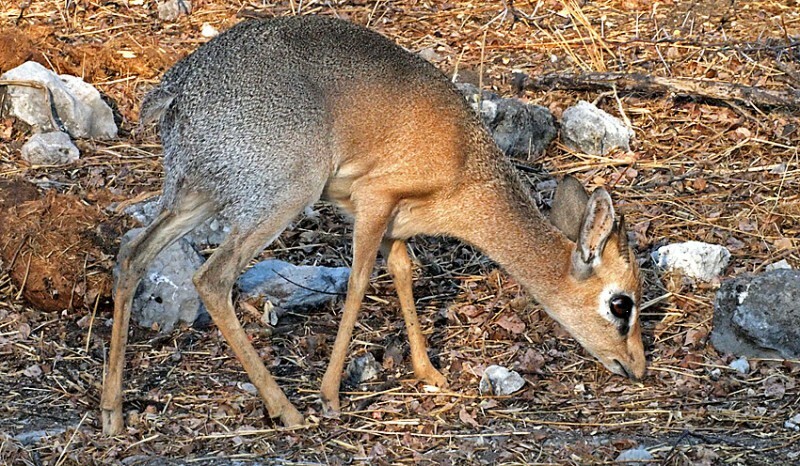 Dik-diks can blend in with their surroundings, because of their dusty colored fur. Their protection against predators are camouflage and a very good eyesight, but they are also able to run at speeds above 40 kilometers per hour. Only males have horns, only 7 cm long. 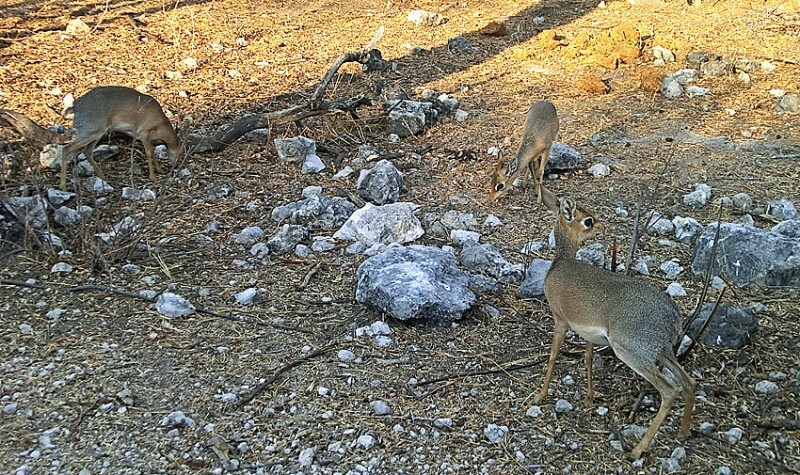 In Etosha most of the Dik-Dik we saw was on the very nice “Dik-Dik drive”. A beautiful road through a forest that reminded us of southern Sweden and with lots of these absolutely adorable animals.